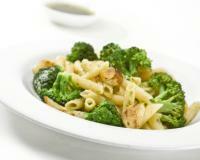 Navid: Quinoa is a healthy choice for vegetarians since it is a source of complete protein. 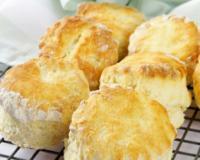 It is also easy to digest and cooks very fast (about 10 min). 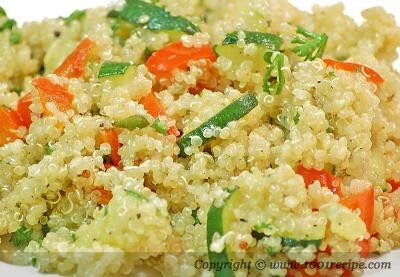 This is a very simple quinoa salad recipe. You can replace zucchini and bell pepper with your favorite vegetables. After washing quinoa, you have to boil the grains for 10-15 min. 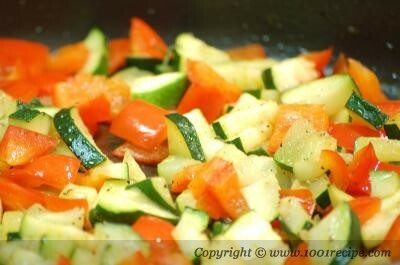 Saute chopped vegetables with olive oil. Mix everything and add lemon juice, herbs and seasoning. 1. 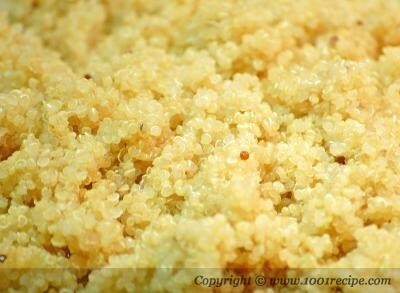 Rinse quinoa by running water over grains in a pot. Drain and add two cups of water and some salt to the pot. 2. Bring the water to boil. Simmer until water is absorbed (about 10-15 min). When cooked, quinoa will be translucent. Set aside. 3. In a frying pan, heat 1 tbsp olive oil. Add chopped bell pepper and saute for 5 min on medium-high heat. Add chopped zucchini, season with salt and pepper, and saute for 5 more min. Mix them with quinoa grains. 4. 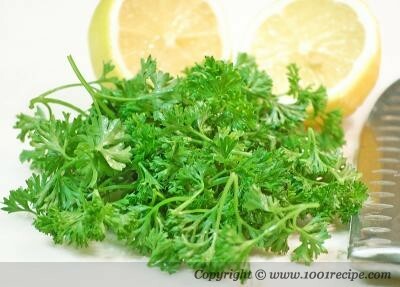 Add olive oil, lemon juice and parsley. Mix well and season with salt and pepper. Taste and adjust the lemon juice and seasoning. What do we say to quinoa in farsi?Can we find it in Iran? Hosseyn,I'm not sure if there is another name for quinoa or not.All I know is that it is originated from South America. I liked it! I didn't know what quinoa was, so I used roasted garlic couscous instead. I sauteed onions as well and it turned out really nice with some cloves.